For years, Pokémon fans have argued over what happens when a monster is recalled into a Pokeball. The theories are endless. Does a Pokémon simply shrink down in size? Is a Pokeball just an empty prison? Does a Pokémon transform into pure energy, or perhaps information, once inside a Pokeball—meaning there’s no “inside” of a Pokeball at all? Or are Pokeballs small paradises for our buddies? Earlier this month I chatted with Junichi Masuda, producer on Pokémon Sun and Moon, and he quickly set the record straight. And there you have it. 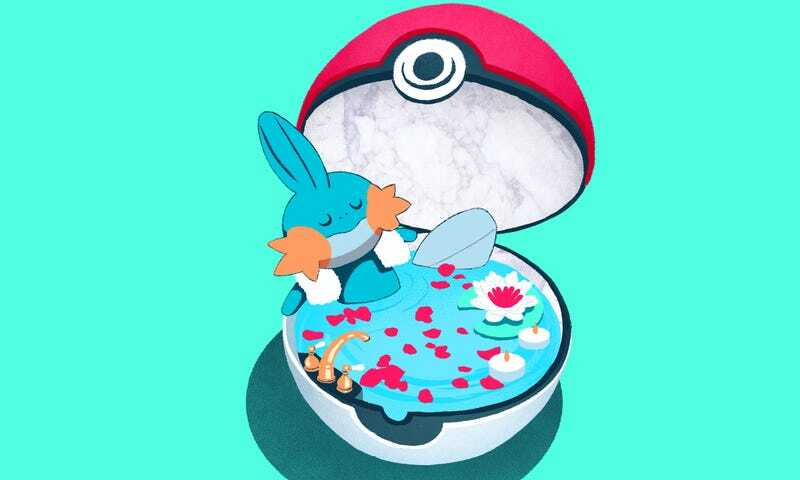 While not in use, Pokémon are totally pampered, so don’t worry about it. They might be hanging out in locales swankier places than you are. We asked our talented artists at Gizmodo Media to come up with a possible rendition of what it’s like inside of a Pokeball based on Masuda’s description, and here’s what illustrator Angelica Alzona came up with. Looks nice, huh?